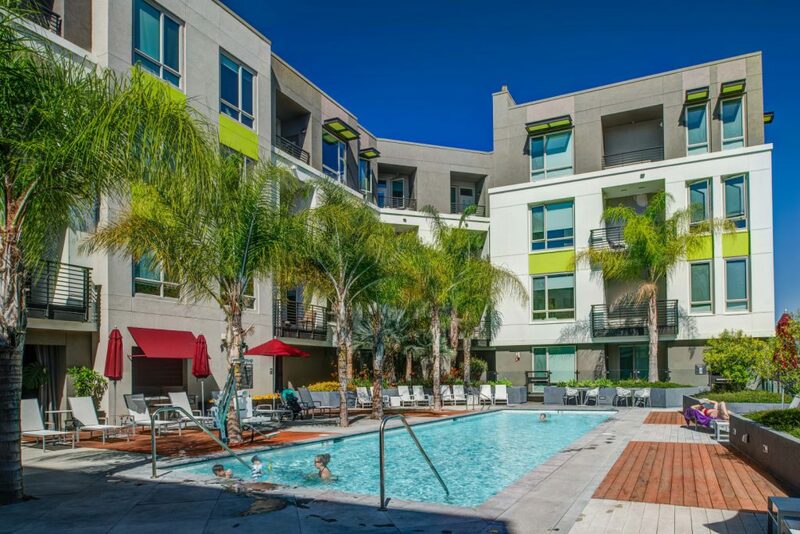 Set within the Sunnyvale’s downtown, this market rate, mixed-use apartment complex encompasses two city blocks and features two buildings each with an on-podium courtyard space. 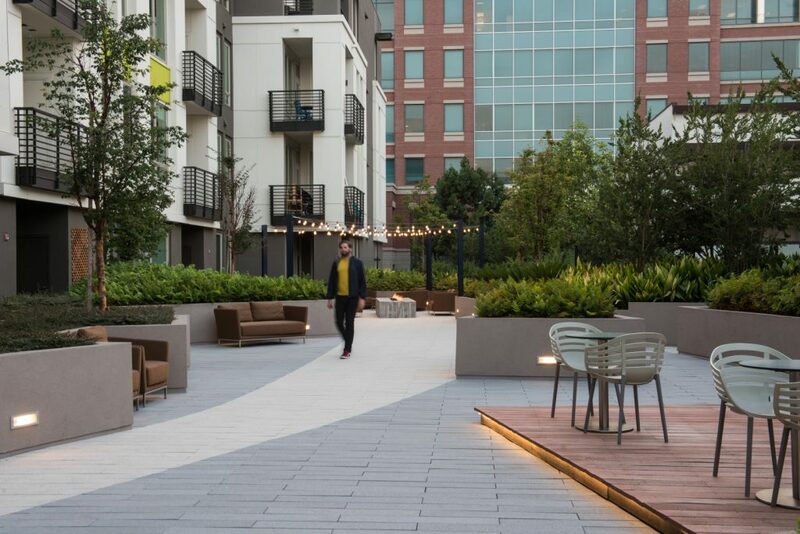 PGAdesign is responsible for the design of the eight surrounding streetscapes and street frontages, as well as the design of all the complex’s private amenity spaces. 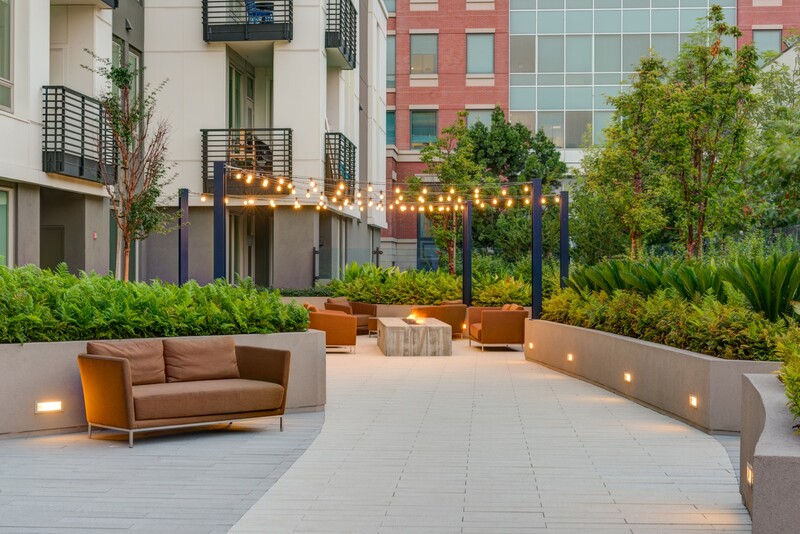 One courtyard is designed with an active and vibrant courtyard for socializing and gathering while the other is designed a serene, contemplative, and lushly-planted space. 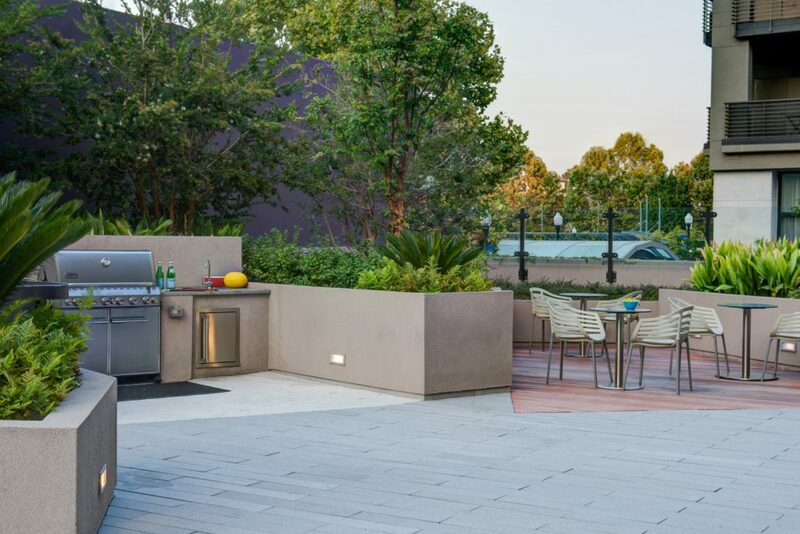 With a swimming pool, spa, outdoor kitchen and indoor/outdoor cabana, the courtyard is designed as an outdoor extension of the building, connecting to the exercise room.